At 1600 km, Gujarat shoreline is the longest of India's nine seaside states. People who are spending more time in exploring the historical landmarks of Gujarat, beaches can be a refreshing break. As one can bask in the glory of the moderate sun, the golden beaches of Gujarat will leave one asking for more. Fabled for its legendary shoreline and world-class water sports activities, coastline of Gujarat are an ideal destination for a beach holiday. Beaches, monuments, temples, enthralling beach resorts and blue lagoon dots the picture perfect coastline of Gujarat. 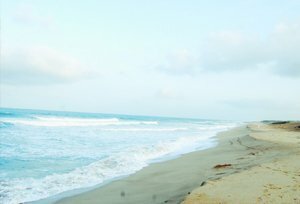 Mandvi Beach, Beyt Dwarka, Chorwad Beach, Diu Beach, Dwarka Beach, Gopnath Beach, Madhavpur Beach, Somnath Beach, Nagoa Beach, Pingleshwar Beach and Ghoghla Beach are amongst the safely secluded beaches that make one's beach holiday in Gujarat an experience to remember. The most laid-back beach destination in Gujarat is Diu Island. This tiny island is remarkable clean and is dotted with multiple landmarks like forts and churches. Beaches of Diu offers an excellent platform for swimming, surfing and parasailing. There are many good reasons, why people choose Gujarat as a destination for water sports; one is its pristine shoreline. Water sports enthusiasts can go for wide range of water sports and activities like surfing, water skiing, jet skiing, parasailing, sailing, and speed boating. For those, who don't know how to swim can go for water motor scooter riding. Beaches of Gujarat are sprinkled with many temples as well. Somnath temple, Gopnath Mahadev Temple and Koteshwar Temple in Gujarat are located next to the shore. The wind blows through the trees onshore, tapping and clicking the leaves together, while the sound of chanting mantras float from the nearby Hindu temple. Underwater life in Gujarat is as exciting and interesting as its landscapes. The glorious Gujarat houses the first national marine park of India on the Jamnagar coast. Marine Park is home to 53 species of coral including forty-two species of hard coral and ten species of soft coral. Coral, Dugong and smaller cetaceans (Finless Porpoise, Bottlenose Dolphin, Indo-Pacific Humpback Dolphin), large whales like Blue Whales, Sei Whales, Humpback Whales, and Sperm Whales are some of the aerial species protected in the national park. 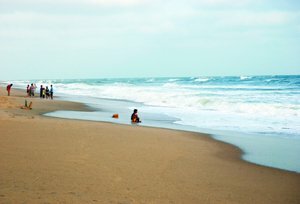 Best time to visit: The best time to visit Gujarat beaches is between October and May. The existence of forts and monuments makes beaches of Gujarat exciting places visit in the state. For those want to see the other side of Gujarat that is more relaxing, rejuvenating and thrilling then they should visit the beaches of the state. Gujarat has the largest sea shore in the country i.e. 1600 km. Marine National Park in Gulf of Kutch is the first national marine park of India. It's the only place in India where one can see reefs without diving in the water.